At the event, each ticket holder may select a handcrafted bowl from the hundreds displayed and replaced as selections are made. Generous artists donated their work to make this extensive collection of bowls. The bowl you keep is both a memento and a reminder of the needs of the food insecure. 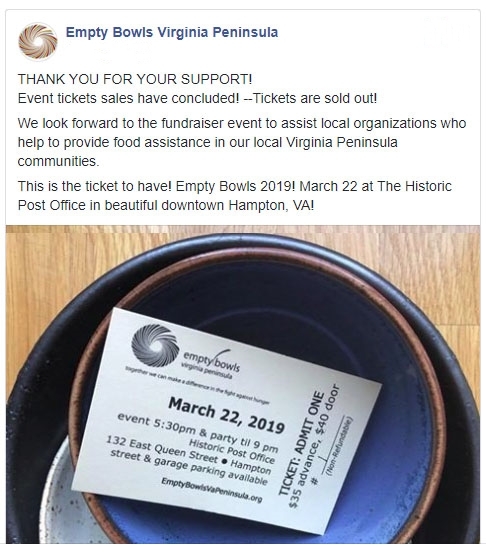 Near the end of the event, there is a bowl sale, The proceeds from this sale provide additional assistance to the charities recieving grants.